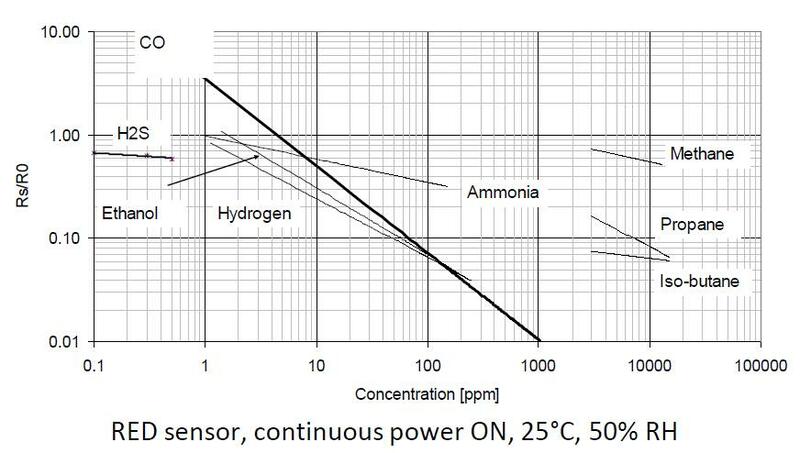 Grove – Multichannel Gas sensor is a environment detecting sensor with a built in MiCS-6814 which can detect many unhealthful gases, and three gases can be measured simultaneously due to its multi channels, so it can help you to monitor the concentration which more than one gas. This sensor belongs to Grove system, and you can plug it onto the Base shield and work with Arduino directly without any jumper wires. 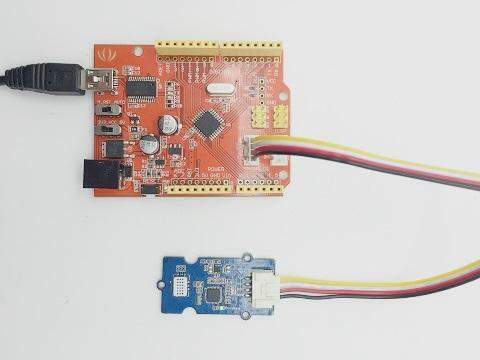 The interface of it is I2C, so plug it onto the I2C port of Base shield, then you can start to work it. 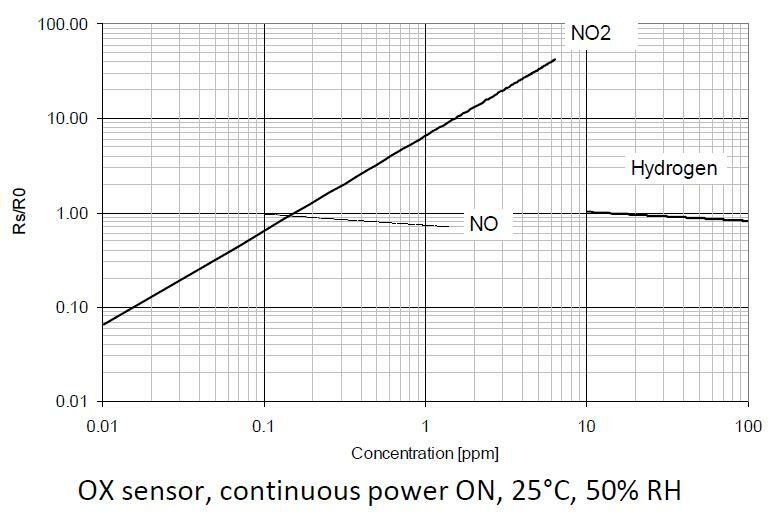 We suggest you to read those knowledge before using the Gas sensor, it'll help you to learn more about Arduino and our products, and also it'll let you to use open souse hardware more easier. Why i need a Base shield? After reading that you will know how to use Base shield with Grove products to work well with Arduino. Let's start it ! 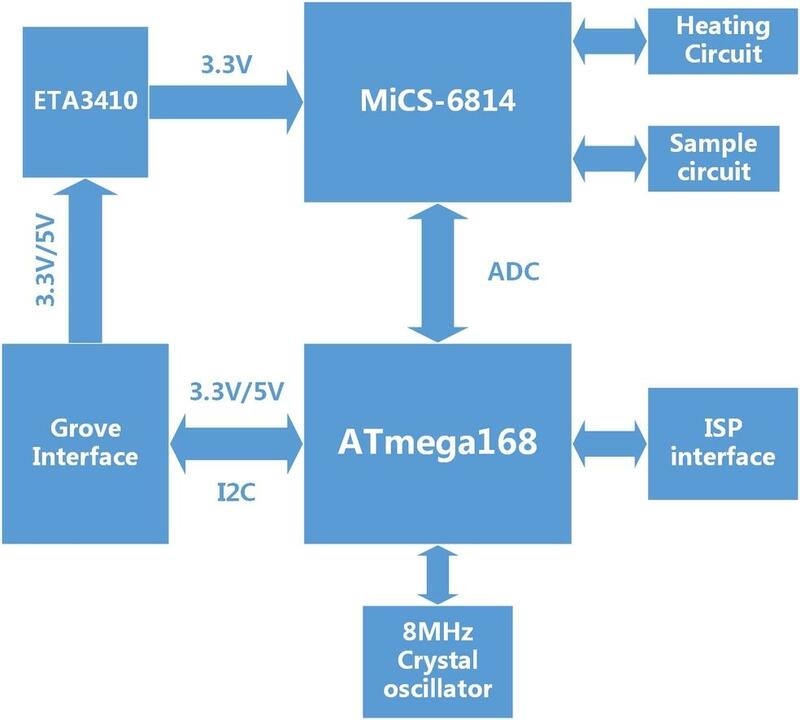 The power supply is between 3.3V and 5V, so this sensor can be compatible with a micro-controller whose output voltage is 3.3V. 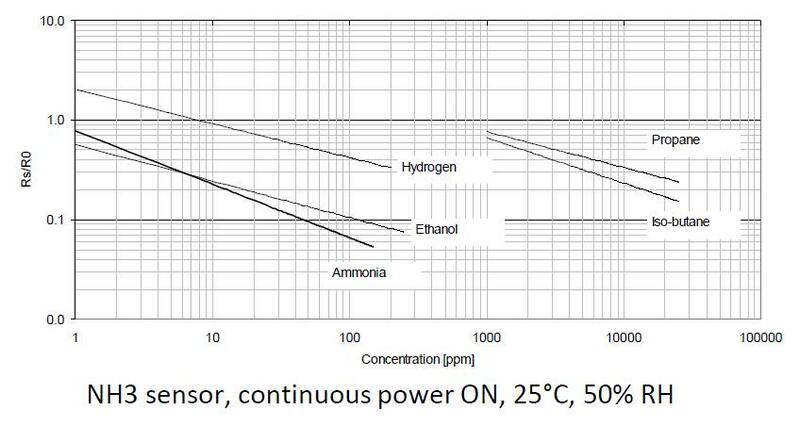 Then sensor need to preheat at least 10 minutes before getting a stable data. 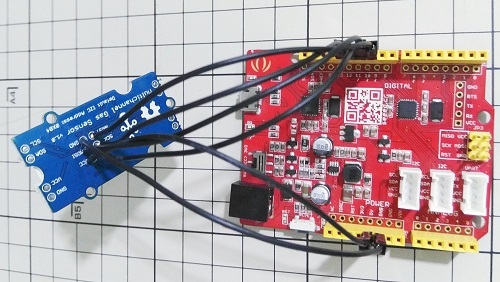 1.Connect Grove - Multichannel Gas Sensor to Seeeduino. 2.Download Arduino Library & Grove/Xadow firmware and install it to Arduino Library. 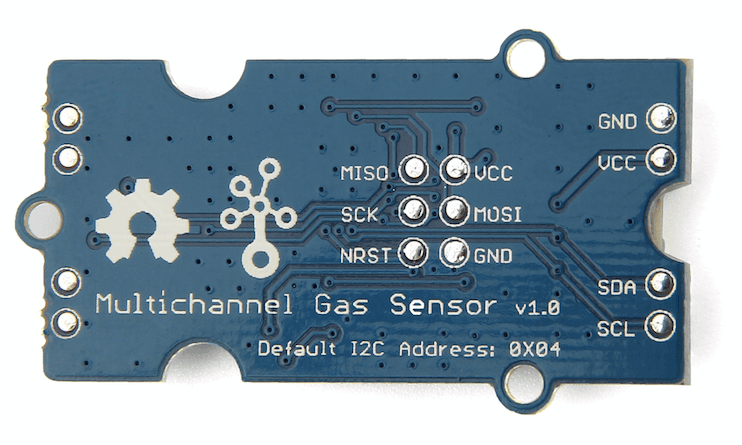 3.Open the code directly by the path:File -> Example -> Mutichannel_Gas_Sensor-> ReadSensorValue_Grove. The code of ReadSensorValue_Grove is given below. 4.Upload the code. 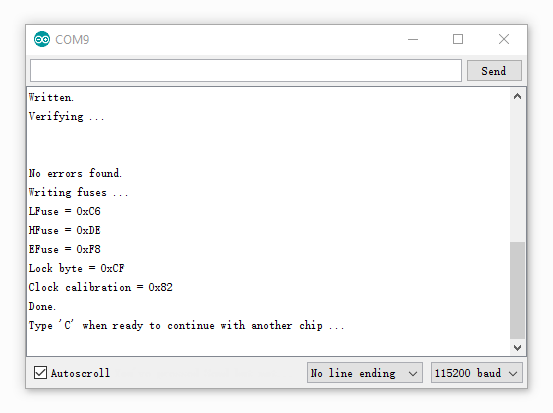 Remember to select Seeeduino Uno from the Tools | Board menu of the Arduino environment, and select the correct serial port Arduino is using. By opening the serial monitor, you can see the raw data read from sensor. 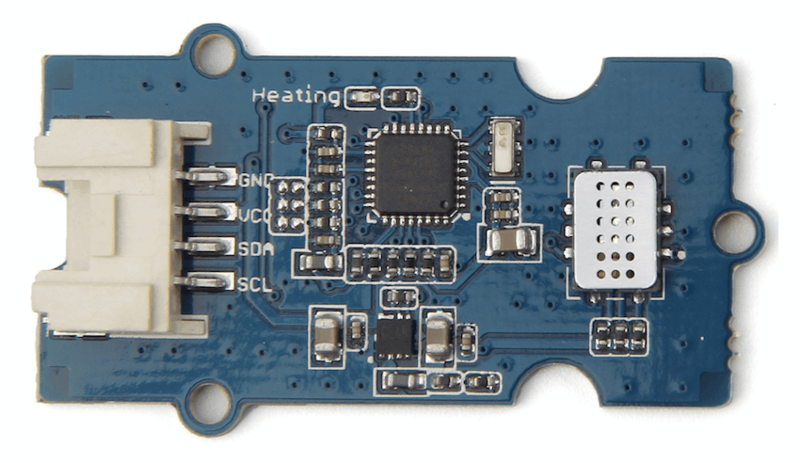 This grove module has an ATmega168 MCU which is flashed with a factory firmware. The version had been updated to V2 at Nov11/2016. Upload below code to detect the versin of your sensor. If the version of your sensor is V1, we advise you to upgrade it to V2 to get a better performance. There's a ICSP pad on the back of the board, you need connect those pads to an Arduino board. Then open the example UpdateFrimware to your Arduino, open Serial monitor and you will get some info printed. Input a 'g' to start. If you always get an unauthentic value, please try to calibrate the sensor. 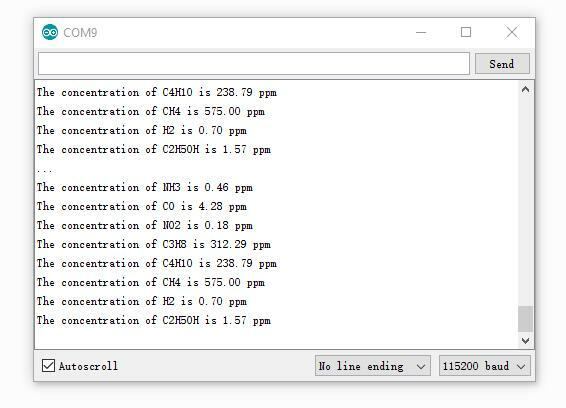 Open the example calibration and upload to your Arduino, open Serial monitor to get info when it's calibrating. The calibration has been done before the modules leave the factory. If you want to recalibrate, please do make sure that the air condition is fresh. And the calibration may need minutes to half an hour. A1. Open the I2C_Address example and run it. Q2. I change the I2C address and unlucky that I forget what is it. A2. Don't worry about it, run factory_setting example to make it default. Please note that the calibration data will factory setting as well. Smart Crops: Implementing IoT in Conventional Agriculture! : Our mission with nature is to preserve it, designing and implementing technologies and monitoring methods with the help of IoT via Helium.